I believe you should tell the story of injustices, of inequalities, of bad conditions, so that the people as a whole in this country really face the problems that people who are pushed to the point of striking know all about, but others know practically nothing about. Where, after all, do universal human rights begin? In small places, close to home…the factory, farm or office where he works…unless these rights have meaning there, they have little meaning anywhere. One’s philosophy is not best expressed in words; it is expressed in the choices one makes. In stopping to think through the meaning of what I have learned, there is much that I believe intensely, much I am unsure of. In the long run, we shape our lives and we shape ourselves. The process never ends until we die. And, the choices we make are ultimately our own responsibility. A respect for the rights of other people to determine their forms of government and their economy will not weaken our democracy. It will inevitably strengthen it. One of the first things we must get rid of is the idea that democracy is tantamount to capitalism. We must show by our behavior that we believe in equality and justice and that our religion teaches faith and love and charity to our fellow men. Here is where each of us has a job to do that must be done at home, because we can lose the battle on the soil of the United States just as surely as we can lose it in any one of the countries of the world. Our trouble is that we do not demand enough of the people who represent us. We are responsible for their activities. . . . we must spur them to more imagination and enterprise in making a push into the unknown; we must make clear that we intend to have responsible and courageous leadership. No, I have never wanted to be a man. I have often wanted to be more effective as a woman, but I have never felt that trousers would do the trick! I have waited a while before saying anything about the Un-American Activities Committee’s current investigation of the Hollywood film industry. I would not be very much surprised if some writers or actors or stagehands, or what not, were found to have Communist leanings, but I was surprised to find that, at the start of the inquiry, some of the big producers were so chicken-hearted about speaking up for the freedom of their industry. What counts, in the long run, is not what you read; it is what you sift through your own mind; it is the ideas and impressions that are aroused in you by your reading. It is the ideas stirred in your own mind, the ideas which are a reflection of your own thinking, which make you an interesting person. 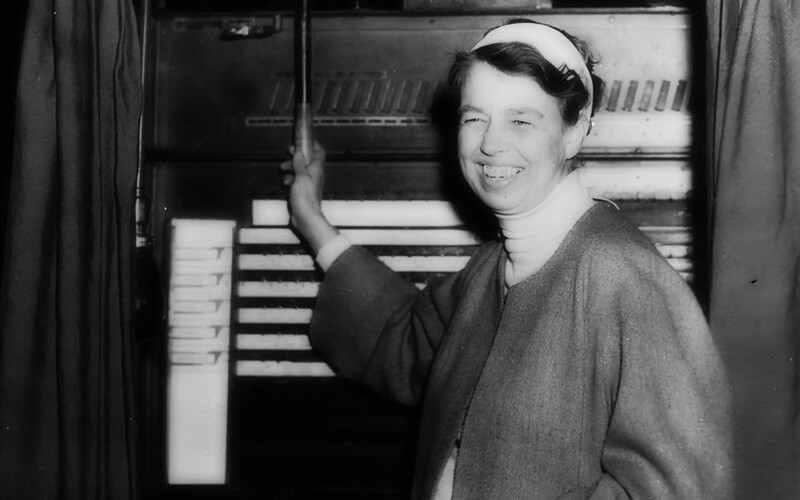 On October 11, 1884 Eleanor Roosevelt was born into a family of wealth and sadness. 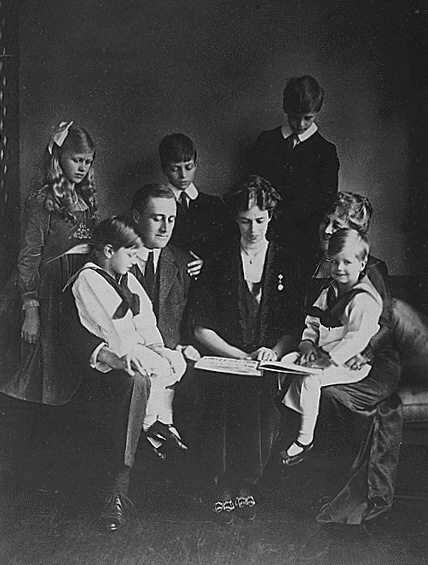 She was the first born child of Anna Hall Roosevelt and Elliott Roosevelt. Her father, mourning the death of his mother and suffering with his own health problems turned to alcohol and was often absent from home. Her mother struggled with her responsibilities toward Eleanor and her younger brother, Hall. 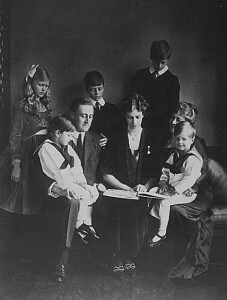 Anna Eleanor Roosevelt married Franklin Delano Roosevelt on March 17, 1905. President Theodore Roosevelt, who was in town for the St. Patrick’s Day parade, gave the bride, his niece, away. It was Eleanor who persuaded Franklin to stay in politics following his partial paralysis from polio, and began to give speeches and campaign in his place. After Franklin’s election as Governor of New York, Eleanor regularly made public appearances on his behalf. Later she shaped the role of First Lady during her tenure and for the Presidential wives who came after.